Christopher Nicholas Sarantakos, better known by his stage name Criss Angel is an American magician, musician, escapologist, stunt performer, and actor. He is best known for starring in his own television show, Criss Angel Mindfreak. 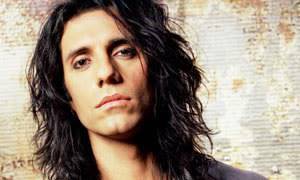 Criss Angel was born on December 19, 1967, and raised on East Meadow, Long Island, New York. He is of Greek descent. Angel grew up loving music, had a love for playing drums, and has always had an interest in magic. His parents are John and Dimitra Sarantakos. His mother hails from Mystra, Greece. He has two brothers, Costa and JD. One of Criss's biggest influences has been his father, who died from carcinoma of the stomach. Angel performed World Of Illusion at Madison Square Garden in 1998. Criss then scored an off Broadway show titled "Criss Angel Mindfreak," which ran up until January 6, 2003 following a run of 600 performances at The World in The World Underground Theater in Times Square. He also starred in several television specials. Criss Angel won the Academy of Magical Arts' Magician of the Year award in 2005 and the IMS Magician of the year in 2001 and 2004. He has even revealed the methods for many of his tricks to viewers at home on TV and in videos, although the effects revealed are usually very simple such as making a toothpick disappear, picking a pocket, or making a Styrofoam cup float. Angel discusses magic and his life in Mindfreak: Secret Revelations, which became a Los Angeles Times best seller. Angel is scheduled to appear in a new illusion-based Cirque du Soleil production at the Luxor Hotel in Las Vegas, with an expected opening date in August 2008. The countdown clock featured on Angel's official website is counting down to September 30, 2008 as a premiere. Angel has recently stated that there are plans for this attraction to run for 10 years, including 4,600 shows with a possible 5 year renewal option of his contract. In July 2007, NBC signed Angel and Uri Geller for Phenomenon, a show airing on October 24 that searches for the next great mentalist. Angel does not believe Geller has any paranormal abilities. Starting in October 2007 he appeared as a judge on Phenomenon, with Uri Geller and in a CNN interview about the show he told Larry King "no one has the ability, that I'm aware of, to do anything supernatural, psychic, talk to the dead. And that was what I said I was going to do with Phenomenon. If somebody goes on that show and claims to have supernatural psychic ability, I'm going to bust them live and on television." On the October 31, 2007 episode of the reality show Phenomenon, Paranormalist Jim Callahan performed a summoning, purportedly of author Raymond Hill, to help discover the contents of a locked box. Although fellow judge Uri Geller praised the performance, Angel called it "comical" and subsequently challenged both Callahan and Geller to guess the contents of two envelopes he pulled out of his pocket, offering a million dollars of his own money to whoever could do so. This led to an argument between Callahan and Angel, during which Callahan accused Angel of being an "ideological bigot", and after Angel rose from his chair and approached Callahan, the two were pulled apart as the show promptly went to a commercial break. Angel has since revealed the contents of one envelope and at the unveiling he challenged Geller one more time. Geller was unsuccessful, and the envelope was revealed to contain an index card with the numbers "911" printed on it for September 11, 2001. Criss' explanation was this: "If on 9-10 somebody could have predicted that 9-11 was going to happen, they could have saved thousands of lives". The other envelope's contents will be revealed on the first episode of Season 4 of Criss Angel: Mindfreak.